Have you seen our Hikvision CCTV Quick User Guide? At CCTV Aware, we’re constantly reviewing our internal and external processes to ensure our customer service experience is beyond the expectations of our customers. As a result, we decided to develop in house a ‘Hikvision CCTV Quick User Guide’ to help our customers understand their systems. We’re the first, and still the only CCTV installer to provide a Quick User Guide. After we have meticulously installed your CCTV system, we provide you with a full tutorial in plain English then leave you with instructions afterwards. If that’s not enough, we also provide you with a freephone number to call us for help at any time. 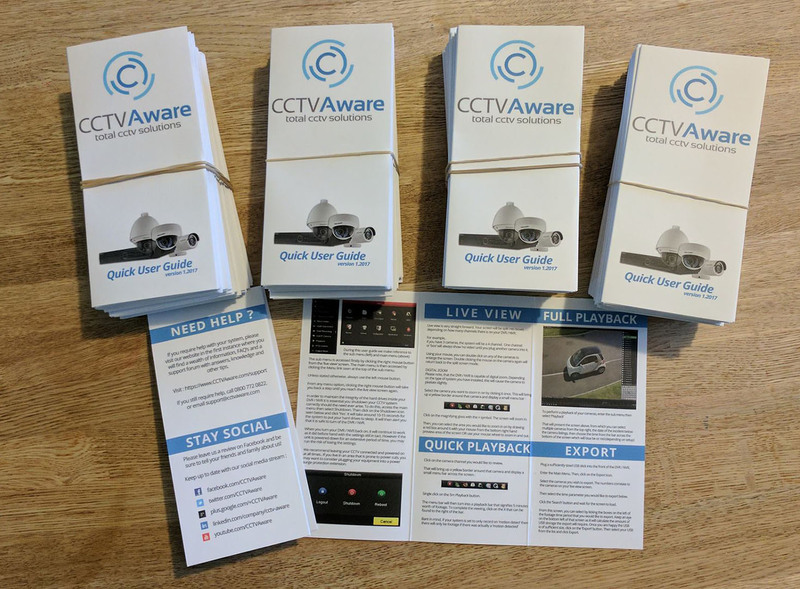 If you’re an existing customer and would like one of these guides posted to you, please email [email protected] with your name and installation postcode. Can I Protect My Business From My Smart Phone?